The events in Newtown, Connecticut this past Friday have left me feeling fearful, angry and out of control. I'm sure I don't have to tell anyone what happened. By now, the world knows that the United States has had yet another mass shooting. This time, the shooter claimed the most innocent of victims - twenty children that were only six and seven years old. And six more adults - teachers - that devoted their lives to their students. Every time Ed or I heard or read another horrific detail - our stomachs would drop and tears would come. It was Brian's birthday weekend so there was a lot of distraction, thank God. And the TV was never on so the boys were shielded from gruesome news reports. But I also know the world doesn't work that way. I know there is evil and people do terrible things. Ed and I have both been victims of pretty violent crimes in our lifetime, so we know this first hand. Which is probably why what happened in Newtown has me frozen with fear. I did not send Gavin and Brian to school today... out of fear. I wanted to hear from both of their schools before I felt better about sending them. I wanted to know if they have protocols they follow if, God forbid, something like this happened. I was also very afraid of "copy cats" trying to make a name for themselves and "out do" the shooter in Connecticut. Maybe I was being a little irrational, but I didn't care. Keeping them home made us feel better. I called Gavin's school first and spoke with the Principal. Gavin's special needs classroom "rents space" in a local Kindergarten center. That means that Gavin's teacher is not really part of the faculty there - technically. And that also means that the email sent out regarding the school shooting to all the parents who have kids in that school never reached me - since we aren't technically part of that school! I was happy I called when the Principal realized that she hadn't been including Gavin's teacher in her faculty meetings. I asked if she could go through all of the safety procedures with Miss Megan, the two classroom aides - and even Miss Sara. She assured me that she would begin doing that immediately. She obviously wouldn't go into detail about their safety procedures - but what she could tell me about the steps they'd take and the drills they have made me feel a lot better. I was also reassured after talking to the principal of Brian's school. His situation is similar to Gavin's. His classroom "rents space" in a school - but it's a high school, which has always made me a little nervous. The principal assured me that the placement of Brian's classroom is far removed from the older kids (which is true now that I think about it). She also told me that Brian's teachers are included in all of the drills and know all of the safety and security protocols. Neither Principal reacted in a judgemental way to my questions, concerns or my cracking voice at times. They calmly reassured me - they told me they are always available to me if I have further questions - and they thanked me for calling. Both schools are on high alert, as you can imagine. I think all of us will be for a while. 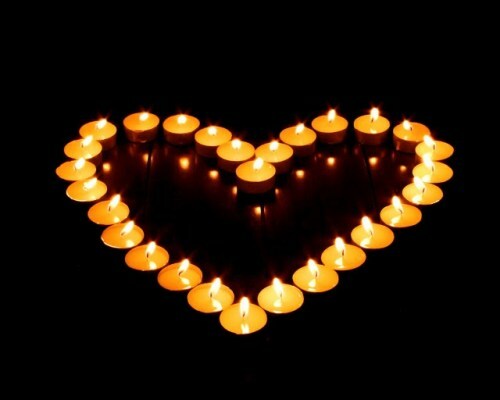 My heart just breaks for every family affected by the Newtown, Connecticut shooting. The parents, the children who saw too much, the surviving teachers and staff. The first responders who will never be able to erase the images of the children they found - the adults they found. The clergy, the Governor and everyone who was there when the parents were told that their child was killed. It's all just too much. And when you have children around the age of these twenty victims, it feels unbearable. I long for a simpler time. I shouldn't feel afraid to send my children to school. Let's lighten this up, shall we? After we left "Build a Bear" yesterday, we walked through the mall to get a cookie snack! As we started back towards the exit, a woman shouted "Ed! Ed!!" I was ahead of Ed and Gavin, so soon both of them were shouting for me. I turned around and saw Ed talking to two women and figured he knew them from work! I walked back expecting to be introduced. As I stood there, it soon became apparent that I should know this woman. She clearly knew us - a lot about us! I've been approached in public before by blog readers who "know" us - but I've never met - so I thought this must be one of those times. I did have a sneaking suspicion that this woman might be "Miss Barb," - but she didn't say anything that identified her as such. And I'd never met her in person, so I wasn't sure!! She mentioned that she was staying at a local hotel, so when I got in the car I called there and asked for her name. Sure enough... it was her. I felt AWFUL! I left a message to call me - and she did. She and her sister were heading back home to New Jersey today, but they stopped by to visit for a few hours this afternoon!! I have mentioned Miss Barb so many times over the years. Without ever meeting her, she has become an adopted Grandmother to Gavin and Brian - and a good friend to our family. She started reading my CaringBridge journal after my cousin, Michelle, sent a note out to a group she volunteered with asking for prayers for Gavin. It was back when he was hospitalized as an infant for months and months. Barb is a retired school teacher and has sent the boys boxes and boxes and boxes (and boxes!) of books over the past four years. She has remembered every birthday with presents and cards. And she has sent me hand written letters of encouragement after some of the more difficult times - like losing Darcy. She is truly one of the kindest women I had never met... until today. It's ironic that I would combine Barb's visit with the school shooting. I have always admired teachers - who dedicate their lives to helping, nurturing and protecting the children of the world. 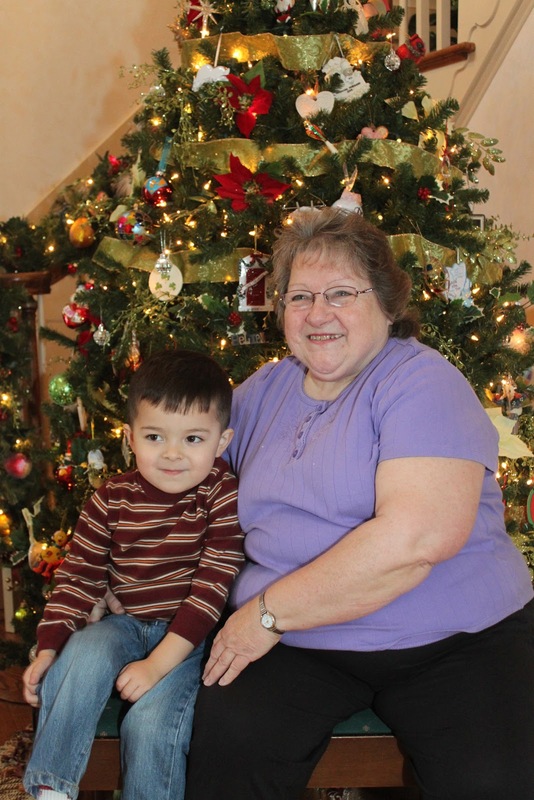 Barb has been a helper and a nurturer to our family for several years now. I know she must have been a fabulous teacher. And I'm grateful that she is in our lives. And I'm grateful for Gavin and Brian's teachers, therapists and aides. They care so much for my children and I know they would protect them.